100_1931, originally uploaded by jonbuys. 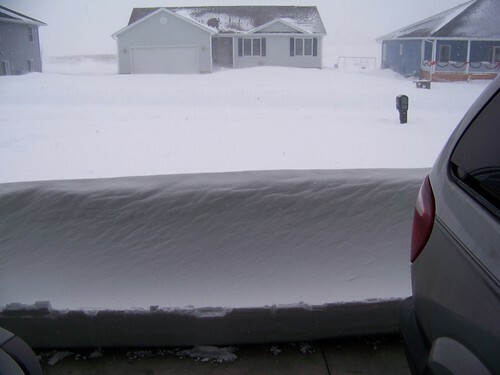 Iowa got its first big storm of the winter season yesterday, and as of right now its still going on. We couldn't go anywhere even if we wanted to. We got about 13" of snow so far, but the wind gusts up to 50mph are the big problem. Just about everything is shut down, schools, work places, and even some of the larger roads. Good day to get caught up on somethings I've been meaning to get done.